Whether starting a day nursery is a lifelong ambition or a recent interest, there will be a few common fundamentals. You must be committed to ensuring that children receive the best early-years education and you will need plenty of time to prepare a sound business plan. No qualifications are needed to own a day nursery. However, the person managing the day nursery must to be qualified to a minimum of NVQ Level 3 in Childcare and Education (or equivalent) and have at least two years' childcare experience. Buying or setting up a nursery requires a great deal of careful business planning. And it requires much investment, both of time and money. You will need to look at provision in your area - is there a market for more childcare? You will also need to analyse long-term trends. For example, if the area you are looking to set up in has a low birth rate, you need to question whether you will have enough children to survive in the future. There are many legal requirements to consider. In England, Ofsted inspects against a set of national standards, a copy of which you need to obtain to ensure the nursery you are starting will meet the requirements. Those new to childcare will either need to do plenty of research or seek some expert help. Those looking to make a huge profit should not consider opening a day nursery the best option. Due to the need for high staff to child ratios, other running costs and limitations to how much parents can afford to pay, most nurseries only make a small profit, which they often need to invest back into the facilities and staff training. However, for people committed to working with children and providing high-quality childcare, running a day nursery can be one of the most rewarding small business options. The author works for the National Day Nurseries Association (NDNA), a membership organisation for day nurseries in the UK, providing them with information, support and advice. The NDNA can also help individuals looking to buy or set up a nursery, and has a resource pack called Developing a Day Nursery priced at £25 plus postage and packing. For further information about buying this book or joining the NDNA, visit the website. Childcare has become more of a necessity than a luxury for many parents in the UK. The number of single-parent families has grown steadily for years, as has the number of families where both parents work. In addition, it is much harder for people to rely on extended family to look after their children, as relatives live much further apart than in days gone by. According to market analysts Laing & Buisson, the number of day nursery places grew by 7.5% between 2005 and 2006. There are now around 725,000 places in the UK overall, spread across about 15,500 nurseries. Over a quarter of all working parents use day nurseries, which now account for a third of all childcare in England. Evidence is emerging, however, that this expansion in nursery places might have been unwarranted. There were 160,000 vacancies at nurseries in 2006, about 22% of the total, double the proportion in the previous year. With nursery places increasing by a much smaller ratio, other factors were clearly at work. Some commentators have pointed out that many women are taking advantage of their new rights, the right to a year's maternity leave and a "right to request" part-time hours. Nevertheless, a majority of women with a child under one are in paid work. Only one in 10 employers helps its workers with the increasingly onerous costs of childcare, but initiatives such as the Child Tax Credit and Working Tax Credit - which contribute to the childcare costs of thousands of low-income families - have helped drive the market. This is not an area for the novice, or those averse to long hours, serious responsibilities and tight organisation. "Those running a nursery have large demands placed upon them, from making sure that enough staff are in place to ensuring that the nursery meets stringent government regulations in terms of standards of care and safety - all while balancing the books," says Purnima Tanuku, chief executive of the National Day Nursery Association (NDNA). "On top of the hours actually spent open, there is planning and paperwork to do." Anyone running a nursery needs a minimum of NVQ Level 3 in Childcare and two years' experience of working with children. "Lots of other common business skills are also crucial," adds Tanuku. "For example, you will need to employ a team, work closely with parents and ensure that your setting meets regulatory requirements." As well as insurance - an absolute must in this sector - anyone considering running a nursery needs to take a close look at the National Daycare Standards published by the government. This guidance sets out minimum levels for the amount of space and staffing per child, the qualifications of carers, and so on. For example, there must be one adult carer for every three children under two years old, one for every four two-year-olds, and one for every eight from the age of two to seven. In addition, half of your staff must be qualified to a minimum of NVQ Level 2, while carers in a baby room require specialist training. As a result of all this, wages are likely to form a large proportion of your total costs. There are good reasons for starting or buying a day nursery, says Tanuku, but making money isn't among them. "Anyone who opens a nursery shouldn't be doing so with a plan to make a huge profit," she insists. "Times are currently very challenging for the sector. Any private or voluntary nursery relies on parents' fees to remain open. When costs rise - wages, business rates, etcetera - you are forced to pass the cost directly to the parents. 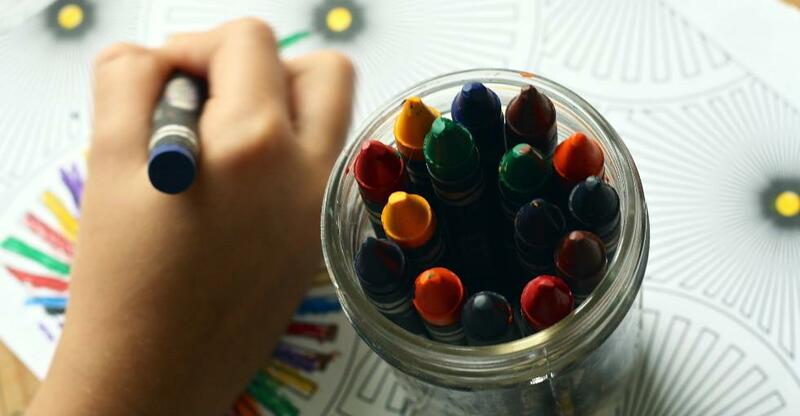 "However, many cannot afford to pay this extra amount, and so in some cases nurseries are forced to absorb the cost to prevent parents looking for cheaper childcare in the maintained sector. But on the plus side you will be caring for children in their formative years and helping them get the best possible early-years care and education." Clearly, running a day nursery cannot - at least in the short-term - be for those with no interest in the sector other than taking a profit. You need to have a real dedication to caring for children if you are to make it a success. The fortunes of this sector are closely tied to government policy. The government is keen to pursue family-friendly policies, and wants to encourage employers to take a greater share of the burden. In countries such as Sweden, there is plenty of evidence that state-funded childcare has provided a great boost to the economy, as women do not have to give up work when they have children. But although the government seems intent on expanding the provision of childcare, its flexible working policies seem to be encouraging more mothers to look after their children at home. How these conflicting impulses are reconciled will have significant repercussions for the childcare industry.